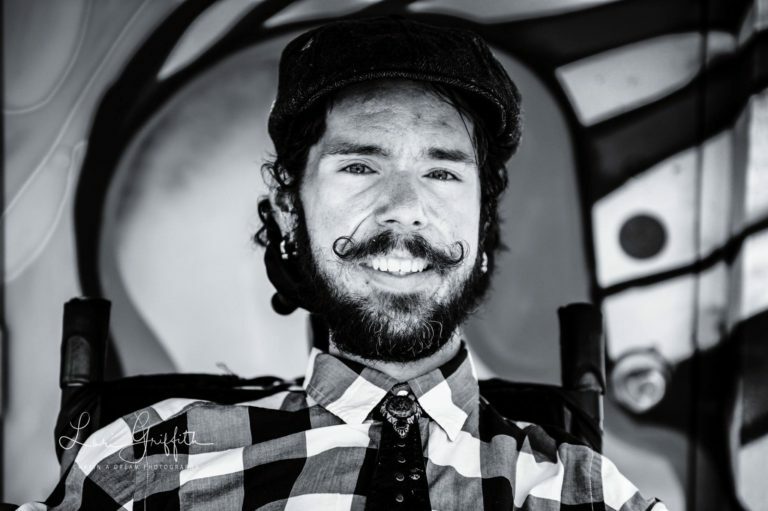 AJ Brockman is an artist turned entrepreneur in Lake Park, Florida. 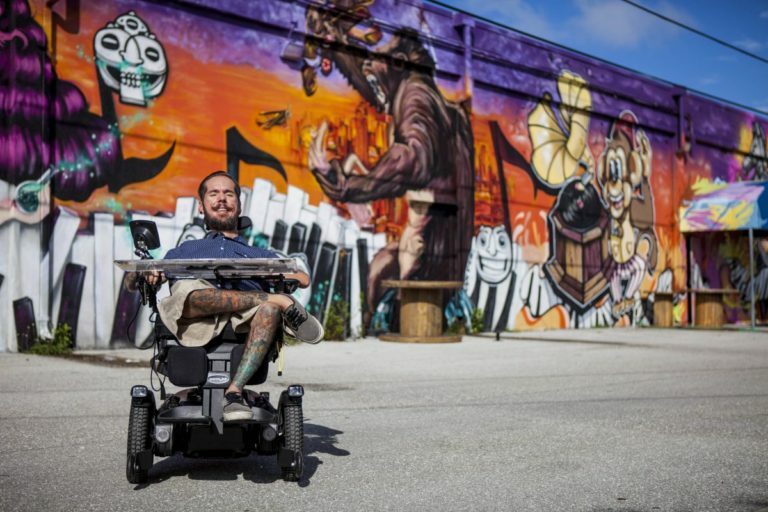 He is a talented artist living with a progressive disease, but it has never held him back from his art goals. 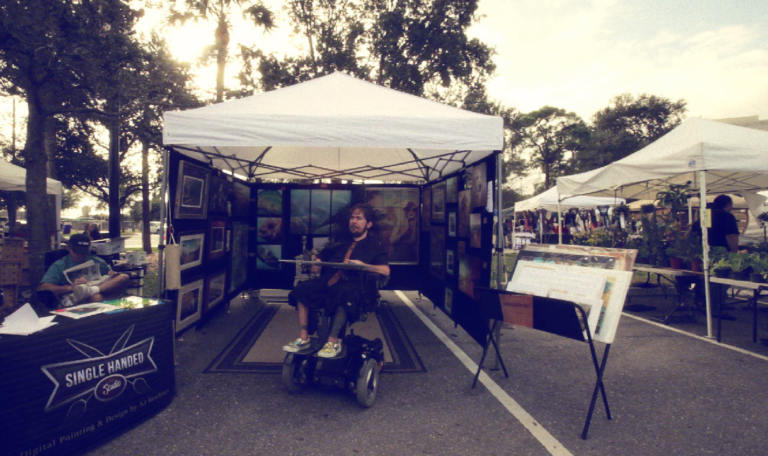 After attending art school and working the art show circuit in Florida, he realized that there must be a better way to sell his art. 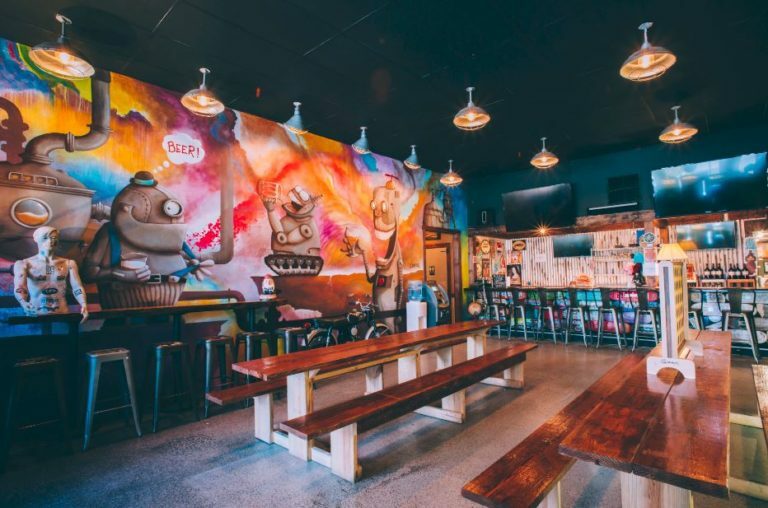 He created a new concept, called The Brewhouse Gallery, where people can enjoy a nice craft beer in a unique gallery setting. 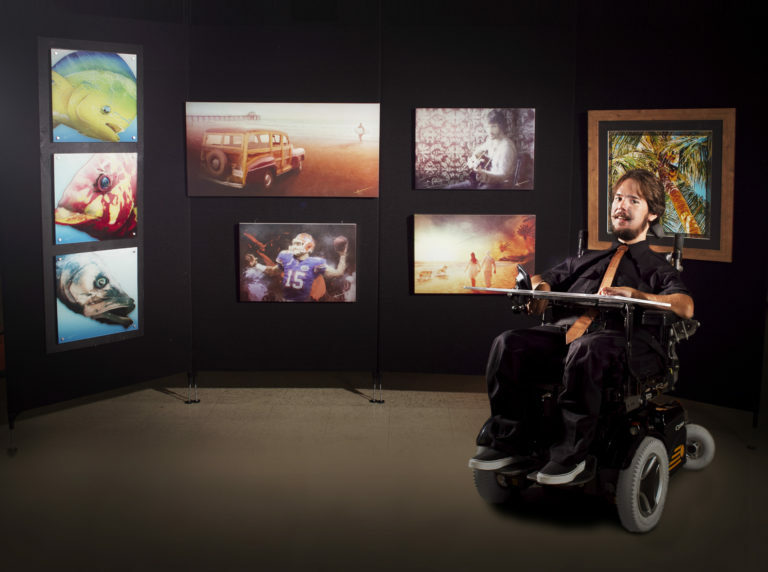 After less than five years, the gallery is a huge success for AJ, his partners, and the artists and musicians who now call it their creative home. AJ working it on the outdoor art show circuit. AJ with an image of the artwork that he took two months to create. 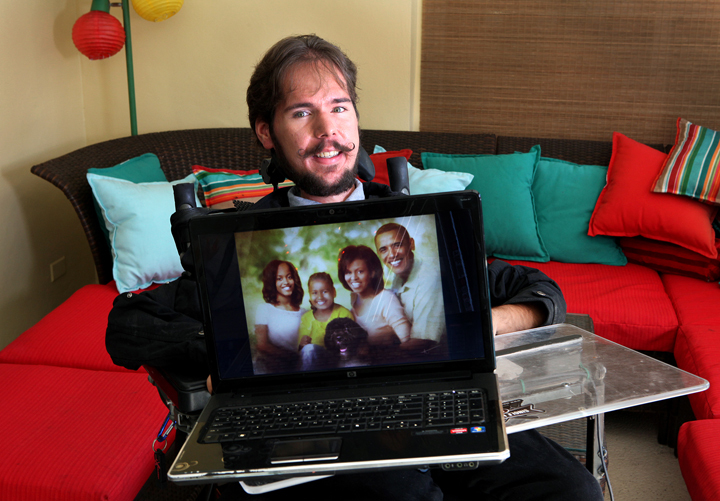 He was then able to meet President Obama and present the original to him. 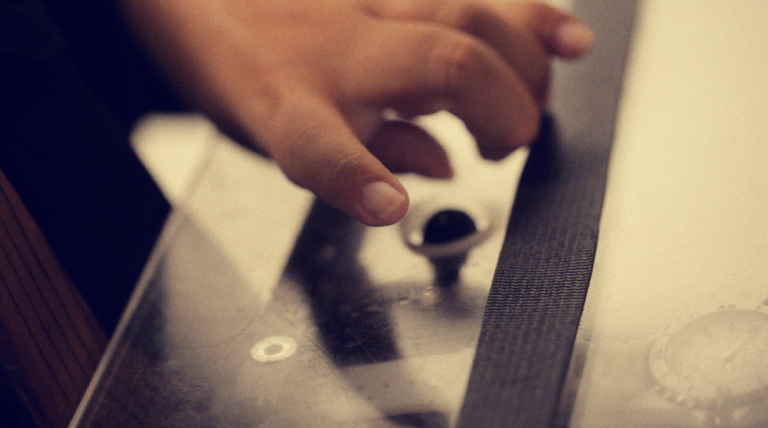 A close up of how AJ uses one finger to create his art on the computer. Working on the computer to make his art. I provide a link below to a video that explains his process. 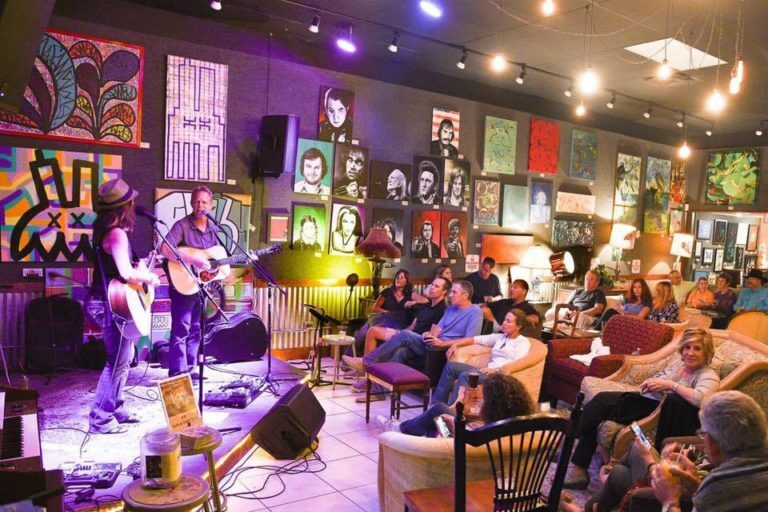 The interior of The Brewhouse Gallery, a concept created by AJ to sell art and provide entertainment.The artwork is changed out every three months. 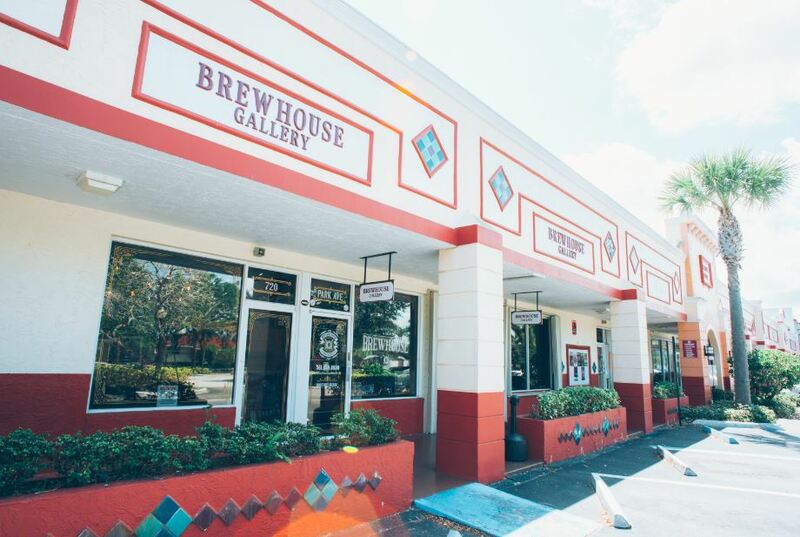 The Brewhouse Gallery is located at 720 Park Avenue, Lake Park, Florida. The interior of The Cave, an expanded section of The Brewhouse Gallery. The back side of the strip of stores is covered with murals by local artists. They also hold events in the back alley. 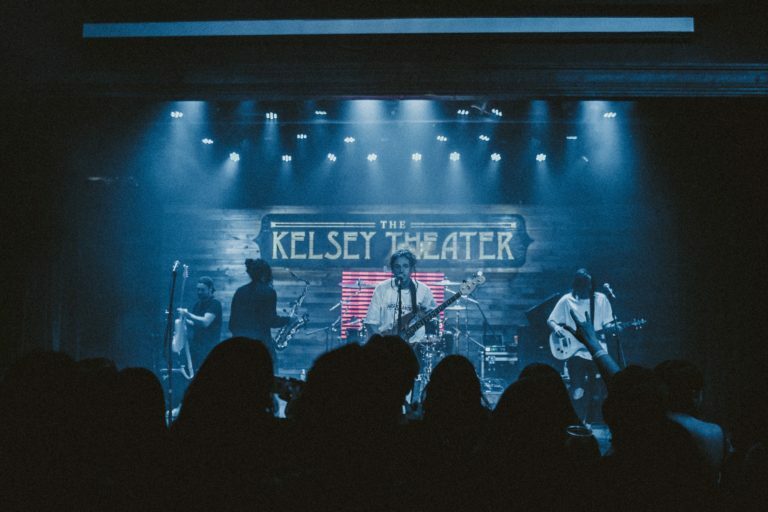 The Kelsey Theater is an entertainment space that hosts bands and a variety of other acts. The back alley murals are changed out every 3-6 months, giving other artists an opportunity to paint a mural. AJ Brockman’s website for his art is singlehandedstudio.com. 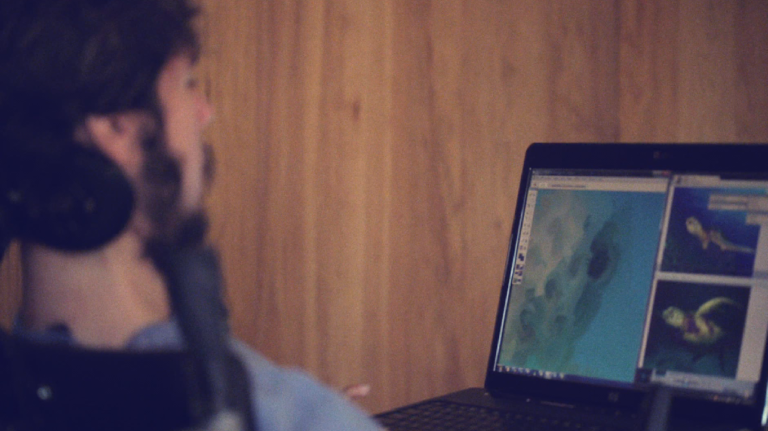 You can find a video on his website where AJ explains his process for making art on the computer. 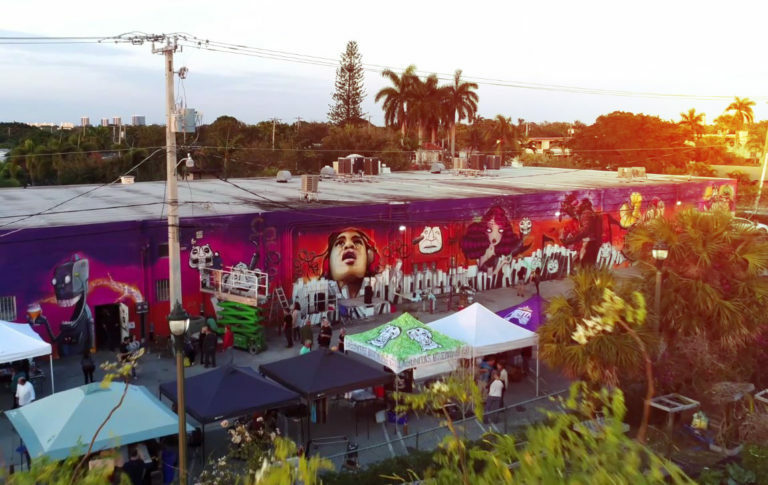 Kelsey Cares, which is their 501c(3) organization which raises funds to pay for murals and scholarships for artists. 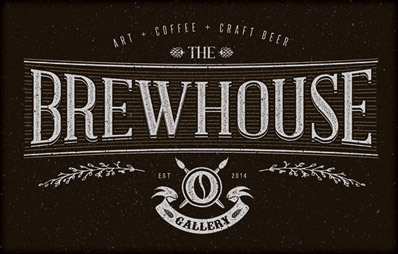 Be sure and keep an eye out for the 5th Anniversary of The Brewhouse Gallery, which will be around May, 2019. Don’t ever let an idea hold you back. Once you put your mind to something, do everything in your power to make it happen. You have to be willing to work and put in the sacrifice without any guarantee of return. Then good things will come your way. His gallery business model is different in that the artists pay for the space on the wall, but they receive 100% of their sales. The Brewhouse model gets a lot more people coming in per week to see your artwork. 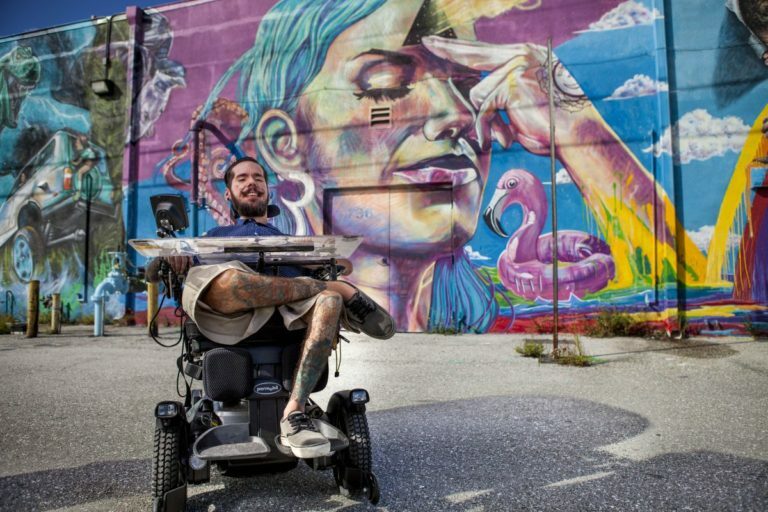 If you want to create public art or murals in your town, but there aren’t laws that allow it yet, consider helping your town write the new laws. If there’s a type of art or a particular project you’d like to try, consider collaborating with another artist to learn from them. Make sure when you are accepting art jobs that you are getting paid for them. Consider creating a crowdfunding campaign to finance large projects, like he did to renovate an old theater. As long as you have the passion to do something, you can ask questions and get with the right people to get it done. If you do your best, things will happen, even if it’s not instant gratification and it takes a little time. As AJ said in our conversation, The Brewhouse Gallery is a fanchiseable model. Get in touch with him if you think this concept would be great in your town.